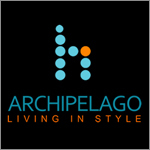 The Archipelago Group specialises in the wholesale and retail of tasteful, high quality indoor oak furniture and outdoor grade 'A' teak furniture, as well as home accessories imported specifically for the GCC region. We offer long and short term furniture rentals, villa and apartment packages, and home-staging options. We also specialise in sourcing and procurement, as well as hotel and spa essentials and can offer complete turn-key project solutions for hotels, serviced apartments and large scale residential projects - complete from concept creation to final execution, not forgetting the all-important finer details and finishing touches.